A great shift dress for all seasons. 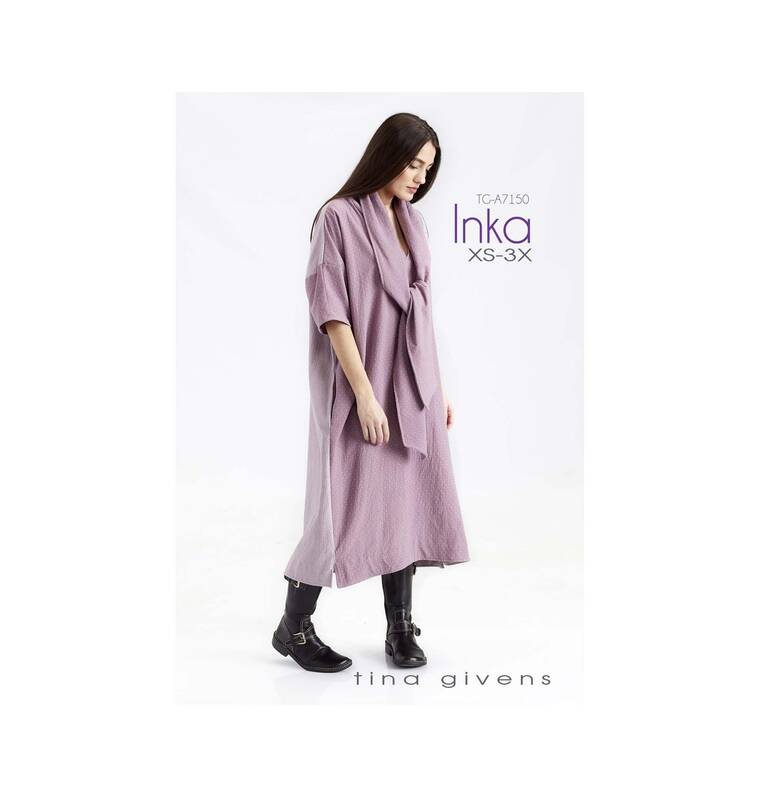 Inka is a unique dress with a self-scarf. Short sleeve and a cute shape. Make this beauty in any medium weight fabric including linen, woven cotton, twill, denim, velvet, or a lovely jersey knit.